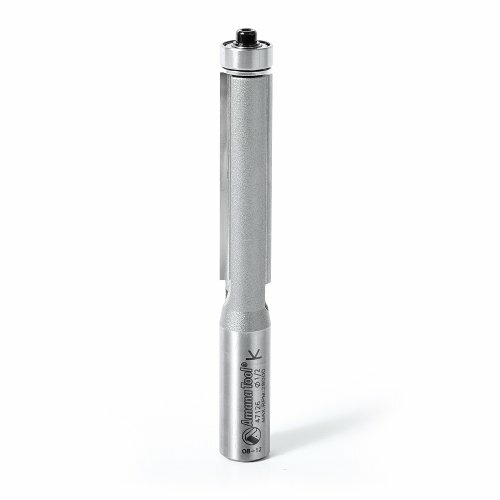 The Yonico 14135 Top and Bottom Bearing Router Bit is great for all your large stock trim applications. This bit can be used with either a top or bottom template. Especially useful for template work when routing rounded or curvy wood with sensitive end-grains. The top and bottom bearings allow you to flip over the wood stock when you reach "up-grain" and rout that segment in a "down-grain" direction, maintaining uniform smoothness around the work-piece. 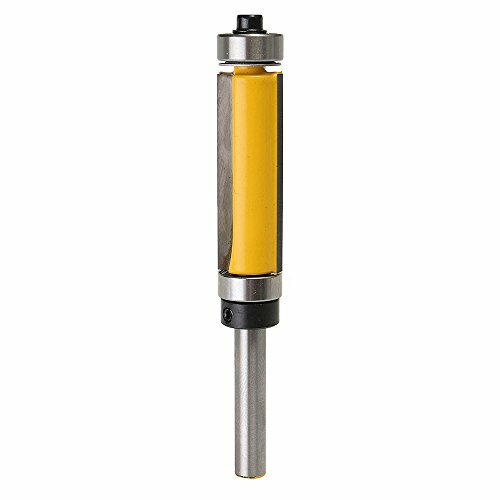 3/4-Inch Cutting Diameter, 2-59/64-Inch Length. 2 Hi-Density Carbide cutting edges and negative shear angle design for long-lasting performance. 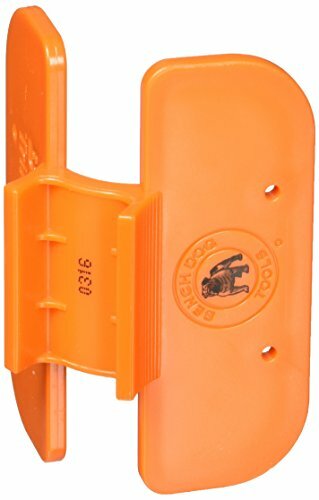 For flush trimming on both natural wood and laminates. Equipped with a bearing for easy and efficient template work. Work quickly and safely to get a superior finish with absolute minimal chipping. 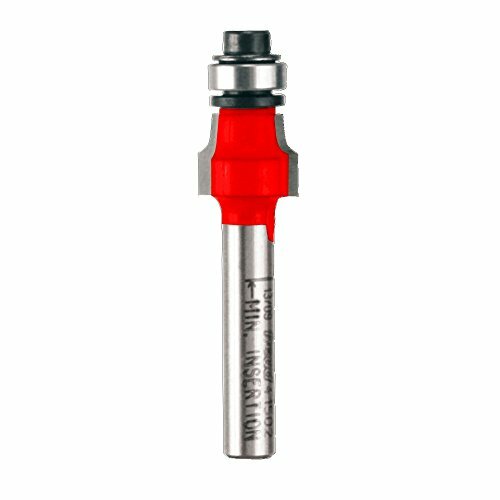 New: Redesigned with permanent bearing retaining collar to reduce trimming mishaps. 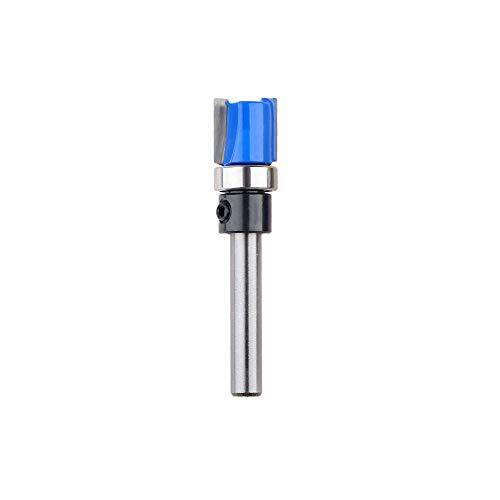 The Yonico 14121 solid carbide flush trim upcut router bit is designed to provide extra clean and smooth flush trim cuts. 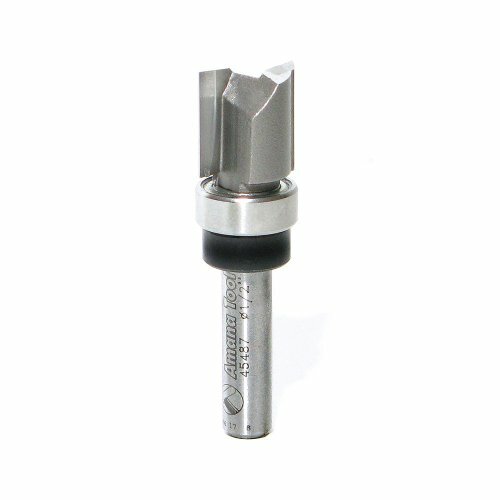 Spiral upcut router bits are ideally used for router table template applications causing wood shavings to spin downwards and away from work piece area. 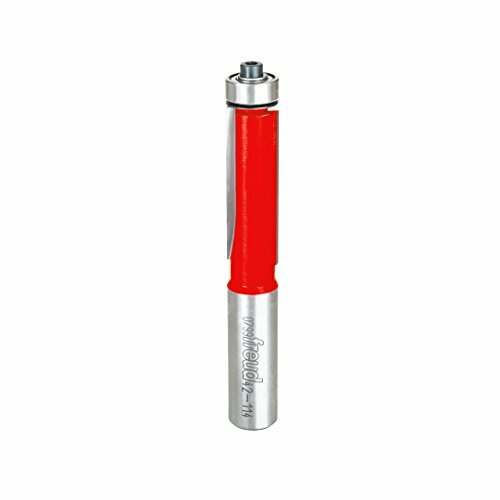 The two independent ball bearing guides at the tip ensure smooth operation every time. 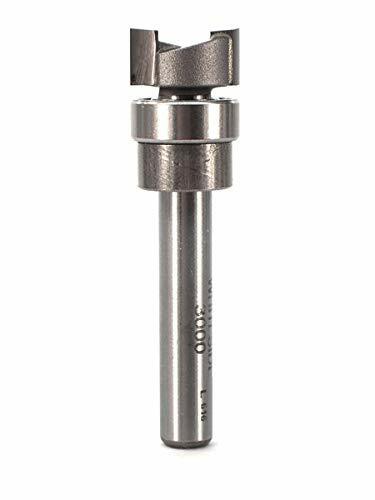 Made from extremely durable solid carbide, the Yonico 14121 is ideal for use with soft & hard woods, ply-woods, composites, laminates, plastics and some non-ferrous metals. 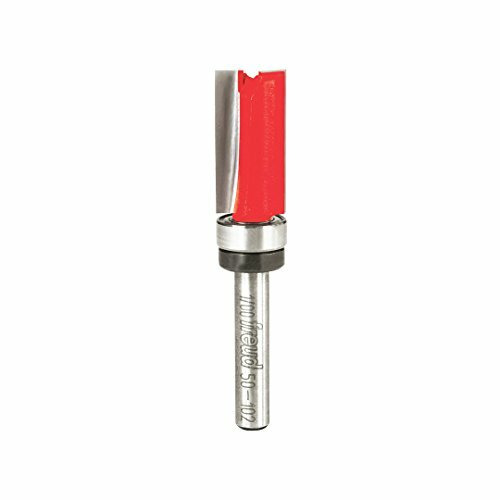 1/4" shank. 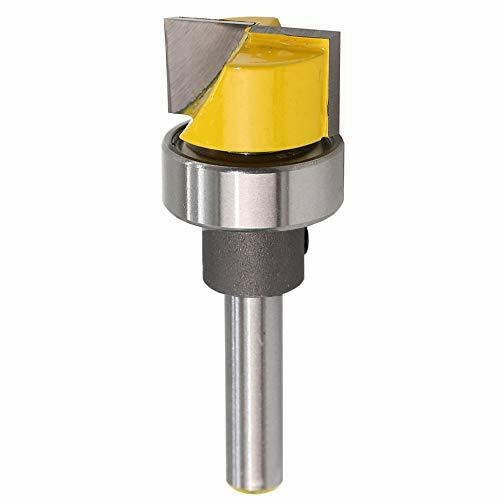 Shank Diameter: 1/4", Cutting Diameter: 3/4"; Cutting Length: 7/16", Total Length: 2"
Two flute carbide cutters with 1/4 shank. 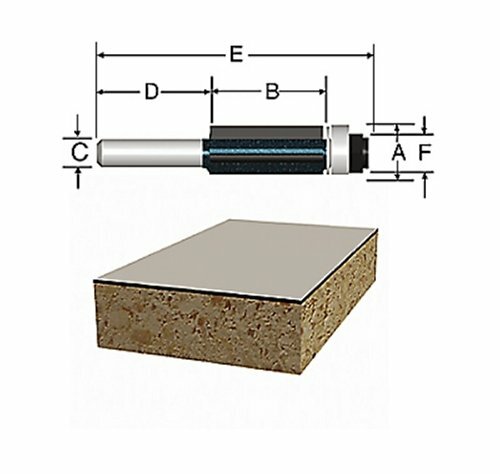 Perfect for Routing door hinge mortises using a hinge template. 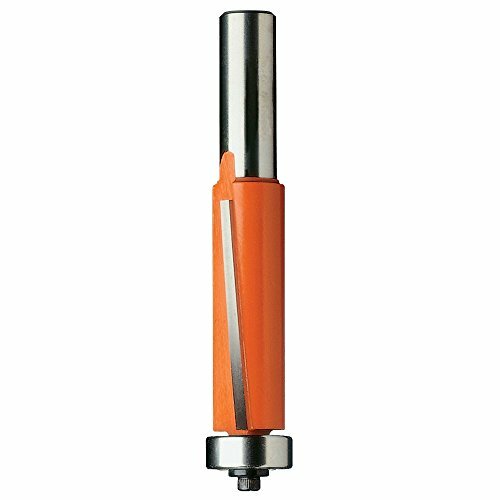 Hinge Mortising Router Bit will rout clean cutouts for hinges or other shallow cutout projects. 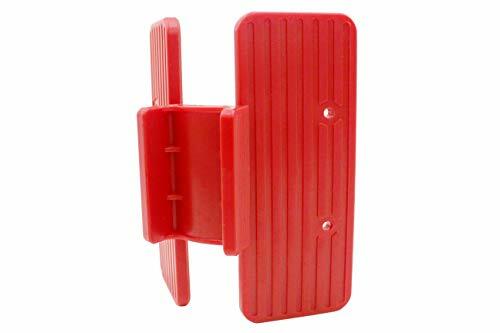 Ideal for plywood, wooden door frames, wooden window frames, cabinets and boxes,solid wood, MDF, particle board, etc. 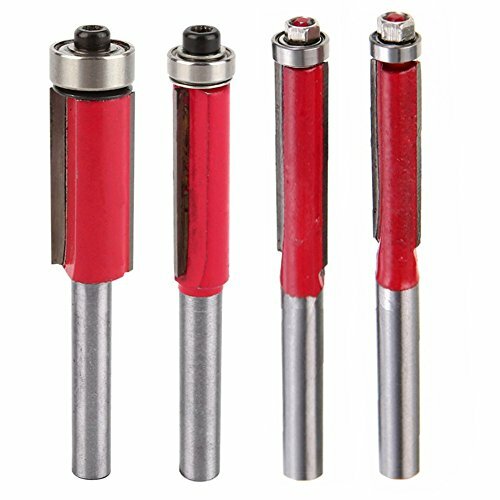 3 Pcs 1/4" Shank Flush Trim Pattern Router Bit Set The cutter body is made of high quality steel by heat treatment, high hardness, high wear resistance, etc. Can be hardwood, cork, synthetic board and other wood and organic glass, artificial board, such as cutting a smooth rounded surface. 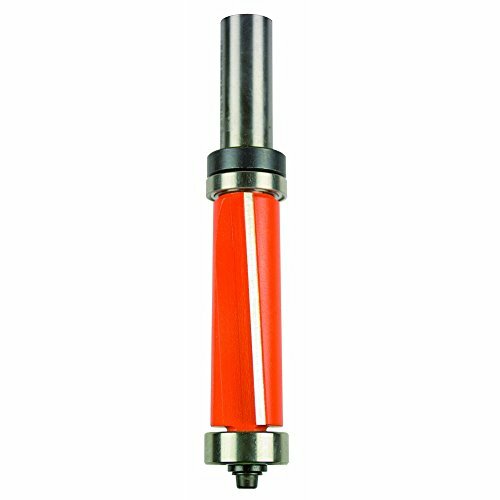 Sharp cutting, smooth rotation, quick operation,High hardness, good wear resistance, significantly improve the service life. High durability, not easy to break the knife, the effect is smooth, it is carved large area of the table and rough carving processing. Heat-resistant PTFE coating baking to prevent the accumulation of wood chips, resin and asphalt. The main function is trimming, three-dimensional clearance angle, slotted. 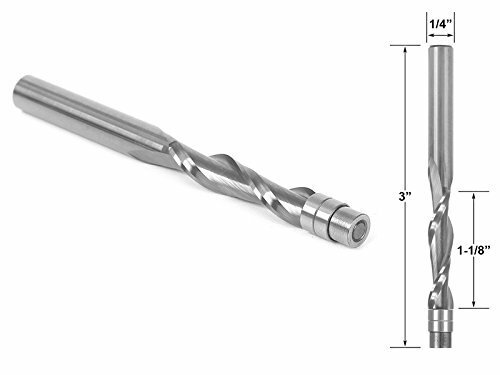 This new bit from Freud routs the edge flush and rounded in a single pass - reducing time and aggravation. 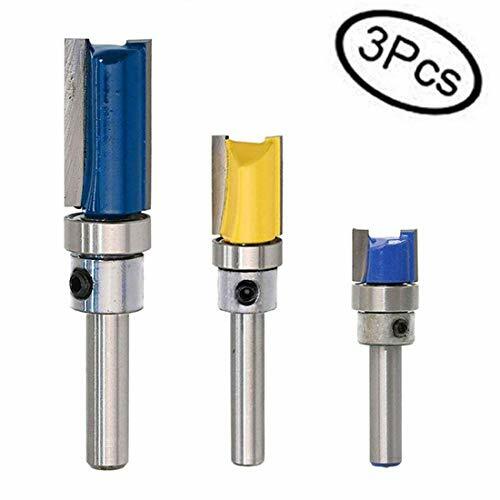 1/2" Overall Dia (D), 3/8" Carbide Height (h), 1/4" Shank, 2" Overall Length (H), Small Dia (n), 1/16" Radius ( R ). Application: Trimming plastic laminate edges that normally require hours of difficult hand filing to finish. Made In Italy. The 41-502 unique cutting geometry produces an ultra-smooth finish on laminate edges. Ideal for countertop-grade laminates including Formica, Wilsonart and similar materials. ZXUEZHENG:The main function is trimming, three-dimensional clearance angle, slotted.